This time of year my neighborhood is decked out in Halloween decorations, so this wine definitely fits the season! You don’t often see a skull and crossbones on a wine label, but don’t let that deter you from trying this delicious Spanish red, which is 100% Monastrell, also known as Mourvedre in France. It’s a wine that is said to need “its face in the hot sun and its feet in the water” meaning that it needs very warm weather and adequate water or irrigation to thrive. It’s a hard grape to grow, but it makes one of my favorite wines because done right the result is a big, intensely flavored purple wine that makes you stop and think about what you’re drinking. I love that! In the hot sun of Jumilla, Spain, Monastrell has the conditions it needs: long, hot summers tempered by the closeness of the Mediterranean Sea. It’s one of Spain’s oldest wine growing regions, but in the late 1980s was devastated by Phylloxera and had to rip up thousands of acres of vines and start completely over. Because it basically disappeared from the wine world for a time, you can find tremendous bargains from Jumilla, not the least of which is this week’s featured wine, Time Waits For No One, which received 95 points from Decanter magazine, but can be found for around $12 locally. This Spanish red is 100% Monastrell, and has intense aromas of blackberry, plum, and vanilla. 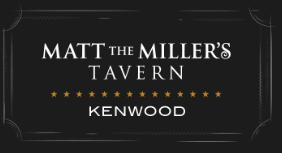 It’s a deep purple in the glass, with a full-bodied flavor of blackberry, espresso coffee and dark chocolate, with a smoky oak finish. Like many Spanish Monastrells this is also a bit higher in alcohol, which gives it a bit of a buzz on the tongue. On my five-cork scale based on taste and value I give Time Waits For No One from Finca Bacara winery a solid four corks. 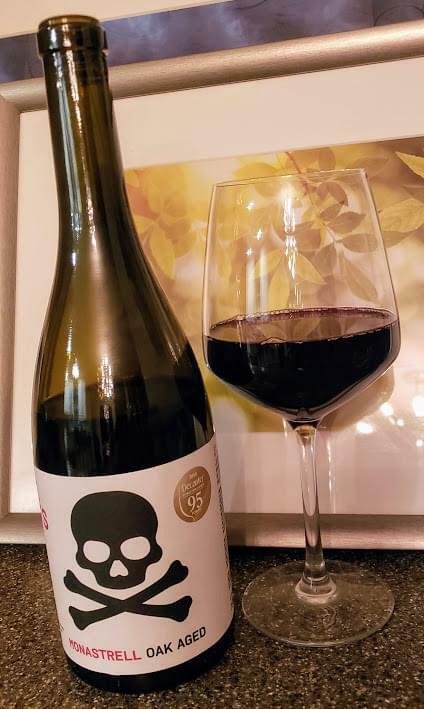 You won’t find a more delicious red wine with a skull and crossbones on the label!